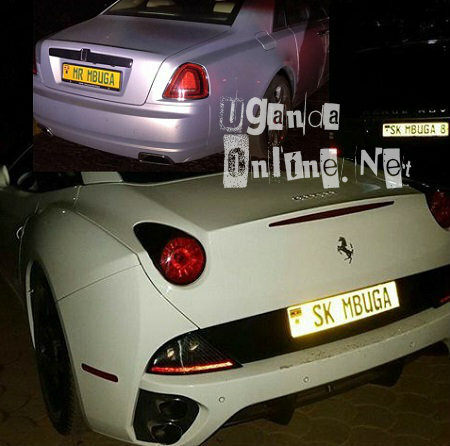 Following the 23billion scandal that has left him and his wife Jalia Mbuga exposed, SK Mbuga has been pulling all sorts of 'unbothered stunts', but that has not in any way stopped the masses from reacting. Some are supporting him while others of course are not. The loaded businessman is threatening to even unleash more rides. On top of his over 15 posh rides that include at least 3 super sport cars [Rolls Royce, Lamborghini and a Ferrari], he is constructing a hospital in Kansanga, a Kampala suburb, he warns that it will be better in 2018 as he unleashes another zero kilometer super car. "People talking and others fighting to put me down thinking am that easy, shame, am watching you and ready for you, try me 2018, going higher and higher." 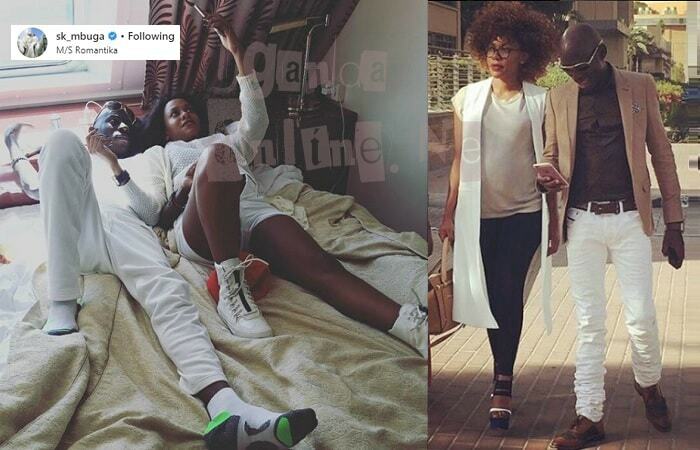 Swedish police is combing all corners in her residence plus neighboring areas to arrest SK Mbuga's wife. This follows an investigation that was recently completed linking Jalia Mbuga to the 53million Krona (Ugx 23Billion) that Sten Heinsoo, a Swedish politician embezzled from a Real Estate company. Sten Heinsoo, later revealed that the money was sent to Africa to help a woman there transport Gold to Sweden. 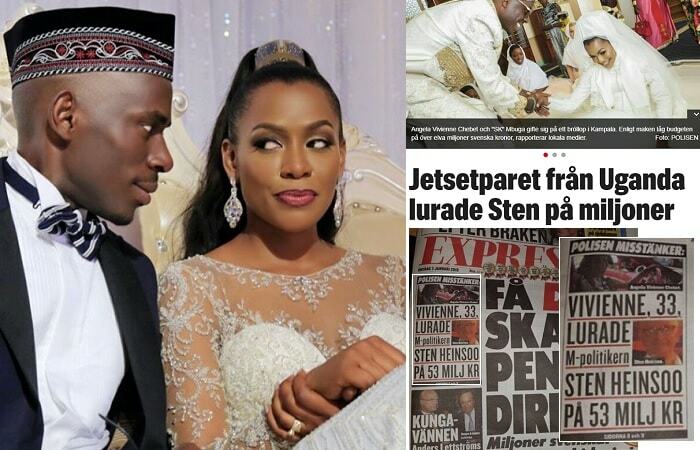 The African country was Uganda and the woman in question was Vivienne Angella Chebet who was commonly known as Angella Birungi and later Jalia Mbuga following the 5Billion wedding that was held in November of 2016. According to the evidence and photos Sten Heinsoo submitted to the Swedish police, it was revealed that the two were having an affair. And now, many are coming to conclusions that the SK-BJ wedding was a reward for a ''job well done'', they now have two children together. This money went missing between 2015-2016, but SK was loaded way before that. Zero kilometer and money should be in bundles., 2018..,going get inspired don't hate .